Some of the oldest lands of Christianity can be found in the Caucasus region. The predecessors of modern Armenia and Georgia were both in the Christian camp by the 4th century AD, long before most of Western Europe had any idea of the new religion. This is the reason why the region is home to so many monasteries. Jvari Monastery in the Georgian province of Mtskheta-Mtianeti; you can see this 6th century masterpiece (and UNESCO World Heritage site) from above in this drone video from Mailk_rus. Description: At the top of the mountain, at the foot of which two rivers merge (Aragvi and Kura), the ancient monastery Jvari is located. 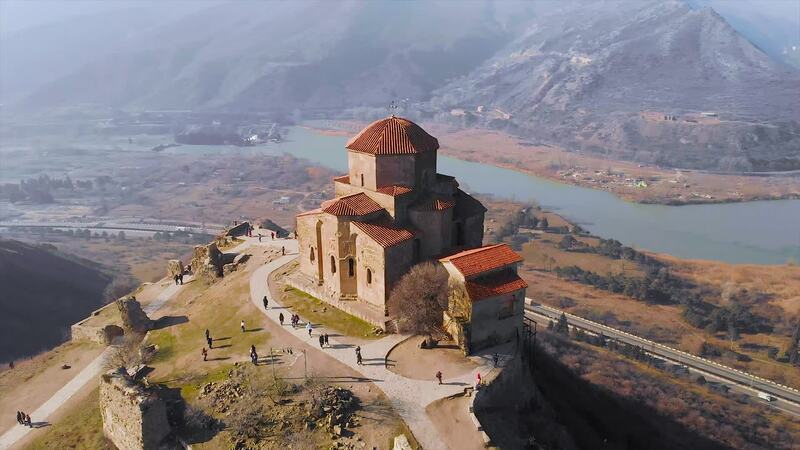 This historical place (UNESCO heritage) is located near the former capital of Iberia, Mtskheta. This is the oldest evidence of the unique Georgian architecture of the Middle Ages.